Add a touch of personal and custom style to your Samung Galaxy S5. Add an amazing unique photo to make the ultimate accessory. Different base colours for your case - black, white & transparent. Here at GoCustomized we find protection for your device a top priority. In addition we believe protection can be delivered in a personal, stylish and unique way. 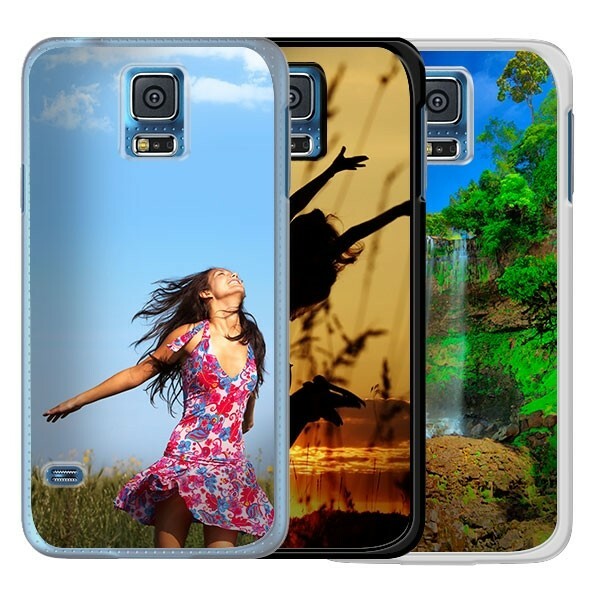 That is why GoCustomized gives you the best of the best phone cases to protect your Samsung Galaxy S5 and lets you design it however you please. 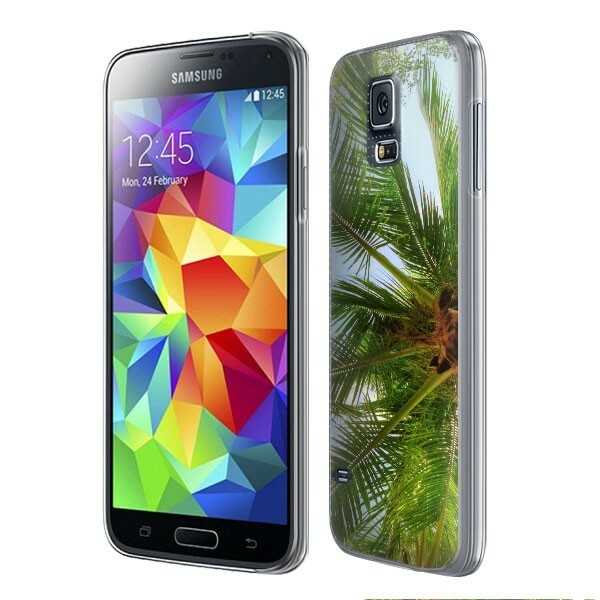 The Hard case for your S5 is made of a special hardened plastic which protects the sides and back of your device. Your design will be printed on the entire back of the case. You have the opportunity to truly made a one of a kind personalised Samsung Galaxy S5 case which will keep your S5 looking newer, for longer. Designing your very own personalised Samsung Galaxy S5 case might sound like a difficult task. However, due to our user friendly design module, it is much easier than you think. First you start by selecting a base colour for your S5 hard case. You can choose one of the following: Black, White or Transparent. Once you have selected a base colour you can upload a photo straight from your computer, tablet or smartphone. You also have the option to upload a photo from Facebook or Instagram. If you don’t have a photo that you would like to use in your possession, feel free to use any image, pattern or pre-made design you can find on the web. Just be sure that it is not a copyright image. Once you have uploaded your image, you can add text using our text module. There are many fonts and colours to choose from! What happens once your case has been ordered? Once you have submitted your design and your order has been processed, our specialist will get to work immediately on making your case. Each and every single case is made especially for the customer. We don’t run a mass production facility. If there are any faults in your design which would result in a bad end result, you can expect to be contact by one of our specialist who will help you make it perfect. Once everything is in order, your case will be produced and on its way to you within 24 hours of purchase!